This news item was posted in Photos category and has 0 Comments so far . Chairman Pakistan Cricket Board (PCB) Zaka Ashraf said on Friday that the first attack by Big 3 was foiled, news reports. Talking to media on his arrival from Dubai, Ashraf said that Cricket should not be sacrificed for money. 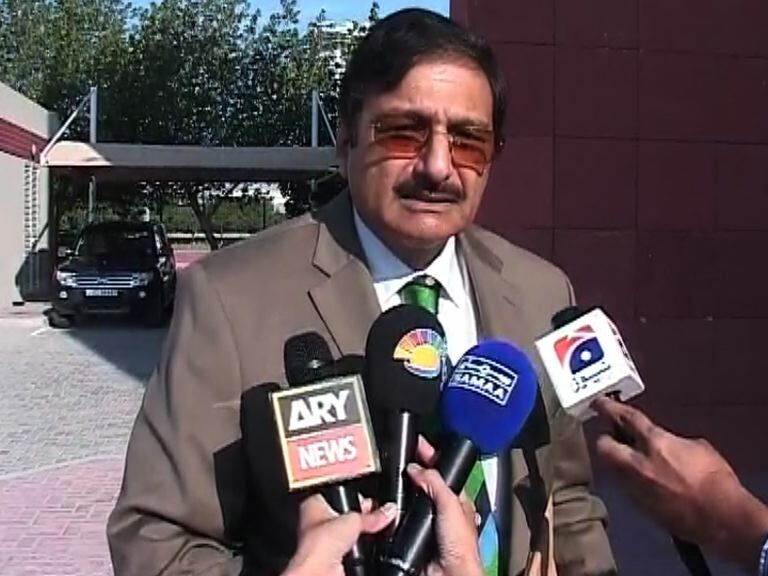 The PCB chairman said he took decision in favor of Pakistan at the ICC meeting. “Instead of Big 3, Big 4 proposal would be much better”, he added.